In 1917 The Royal Flying Corp gratefully received a most generous gift of an SE.5a bi-plane to add to their fleet engaged in combat against the German forces during “The Great War” from prominent Wanganui businessman Mr Edward Rayney Jackson. Rayney, as he was known locally, requested to name her “The Wanganui, NZ” and that she be put into service expediently, preferably in the hands of a New Zealand pilot. This extraordinary act of support to the war effort was publicly acknowledged by The Minister of Munitions as being “particularly noteworthy” in a New Zealand press release on 21 February 1918. At that time the SE.5a was widely considered one of the best fighter planes of the allied fleet. 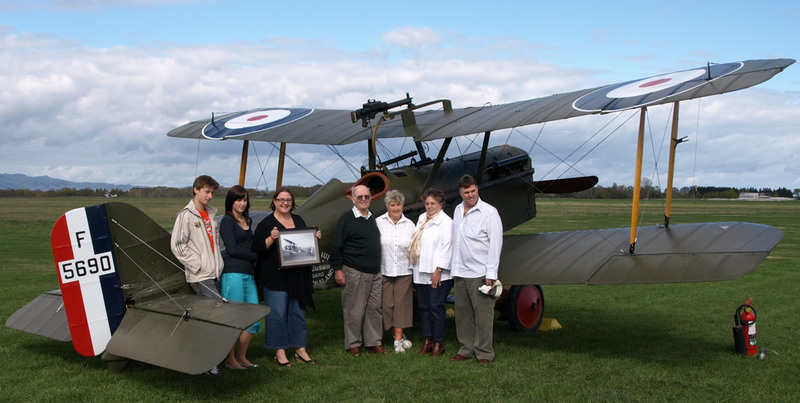 Her donor, Rayney Jackson, was not an aviator but a civilian who established an outstanding reputation in the lower North Island rural sector as a Director of a very successful stock and station agency which had been founded by his father, Mr Freeman Rayney Jackson. Freeman was also the Mayor of Wanganui for one term and the Honorary Secretary of the Wanganui Jockey Club for 25 years. 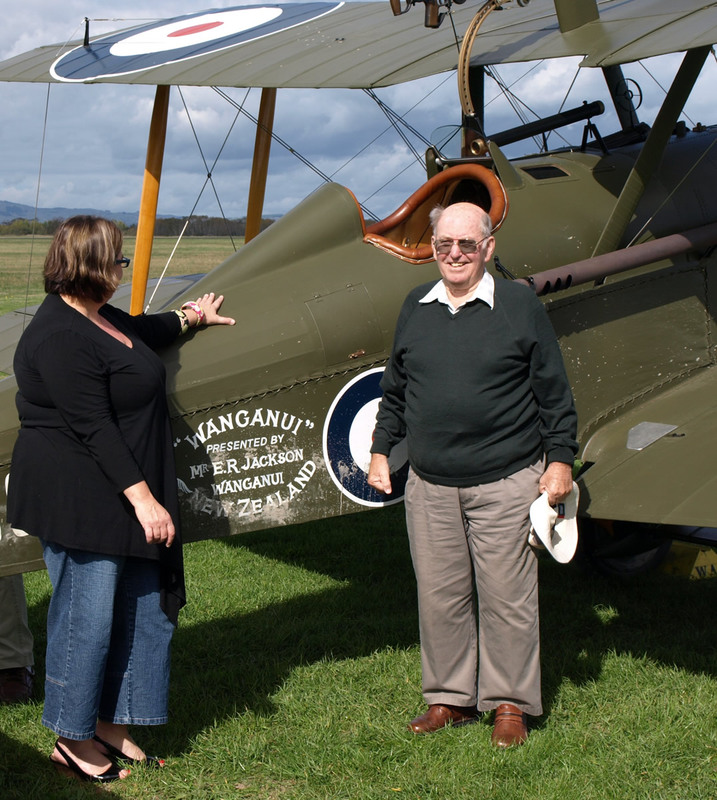 A grandson of Rayney, Mr Montie Jackson (retired farmer – formerly of Waverley) currently resides in Wanganui with his wife Diana, and they, along with members of their extended family, were afforded the opportunity to view a replica of the SE.5a plane in Masterton last April. 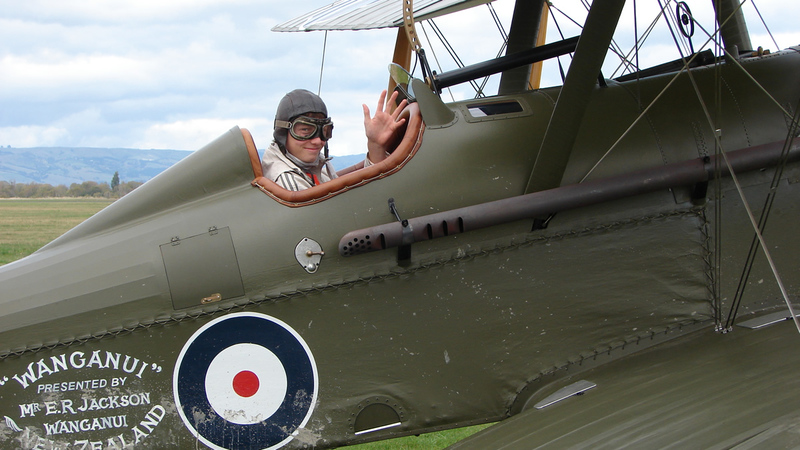 The faithfully duplicated aircraft was commissioned by the 1914-18 Aviation Heritage Trust. Although the original “Wanganui NZ” is currently fate unknown, her name-sake is “alive and well” and put on a remarkable display for the visiting descendants of Rayney Jackson on a superb day of private remembrance and reflection. 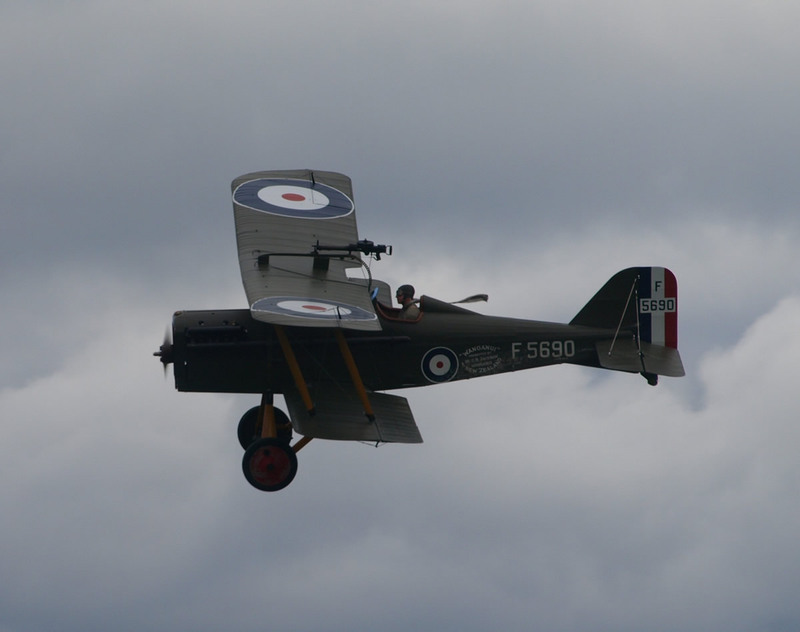 Most ably piloted by a pilot of Wellington based military aircraft manufacturers “The Vintage Aviator”, the SE.5a delighted her small but fascinated audience with an exciting show of manoeuvres reminiscent of air combat 90 years ago. The tranquillity of a perfect Autumn day was suddenly interrupted by the starting crank of the polished wooden prop, inspiring eerie notions. So moving was the moment when the engine roared to impressive life, a respectful tear welled among many of her spectators. The SE.5a then taxied away to become swiftly airborne leaving those behind windswept in her wake. By all accounts a truly magnificent sight to behold. On the turn for home the wire wing struts caught the wind so to create the notorious screaming howl of imminent attack, enough to strike fear into the heart of anyone in her path. As per the original aircraft she was armed with a Lewis machine gun, popular at the time due its comparatively lightweight construction. Mounted above the top wing the gun was positioned so to fire outside the propeller arc. Fortunately this was not demonstrated for the family on the day! Upon landing the group then gathered for a celebratory lunch where tribute was paid to not only the creators of this magnificent aircraft, but most importantly to the bravery of those who defended us from tyranny with so little hope and resources at times. It was a most unique opportunity for the Jackson family to be present at for which they reiterate their sincere gratitude.